We have more than 2000 label cutting dies in stock. This allows us to manufacture and ship the majority of our label orders quickly and efficiently. If an order for a particular label size or shape can not be produced using our in-stock dies we can custom order the die for a nominal fee. We emboss and print custom labels on a large variety of substrates, including foil, mylar, vinyl and other clear or waterproof films. 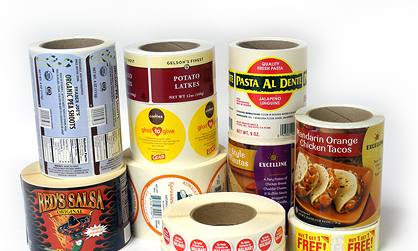 As one of the leading label manufacturer & printing companies in Los Angeles, AAA Label Factory produces quality label printing that promotes your products and services commendably. Reach us at. Address : 7901 Canoga Ave Canoga Park, Los Angeles, CA - 91304 U.S.